I was cheering on a lot of the celeb moms I’ve featured on this blog during tonight’s airing of the Golden Globes Awards! Congrats to Regina King for her win for her supporting actress role in the film If Beale Street Could Talk. The 227, Boyz In the Hood and American Crime alum used her time giving her acceptance speech to advocate for the Time’s Up x2 movement and challenged herself to make her projects fully gender equal in the future. Monique Lhuillier, Molly Sims in Marchesa and Penelope Cruz in Ralph & Russo. Alexander McQueen, Keri Russell in Monique Lhuillier , Felicity Huffman in Laura Basci and Kristin Cavallari. 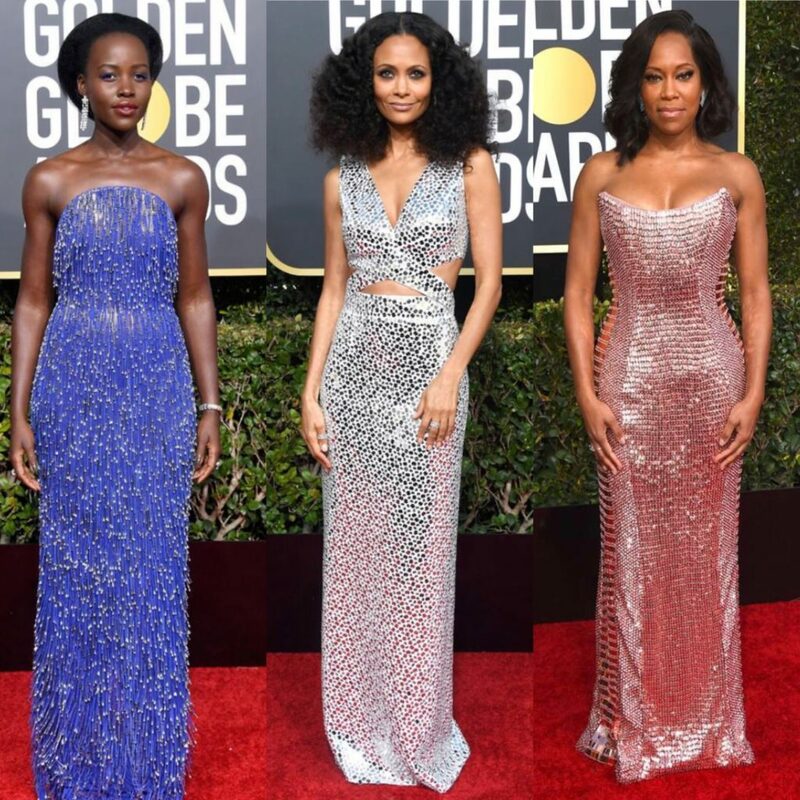 Sleek, sultry body hugging sheen and glimmer on Lupita Nyong’o in Calvin Klein, Thandie Newton in a custom silver mirror-embroidered cutout gown from Michael Kors Collection. and King in Alberta Ferretti. 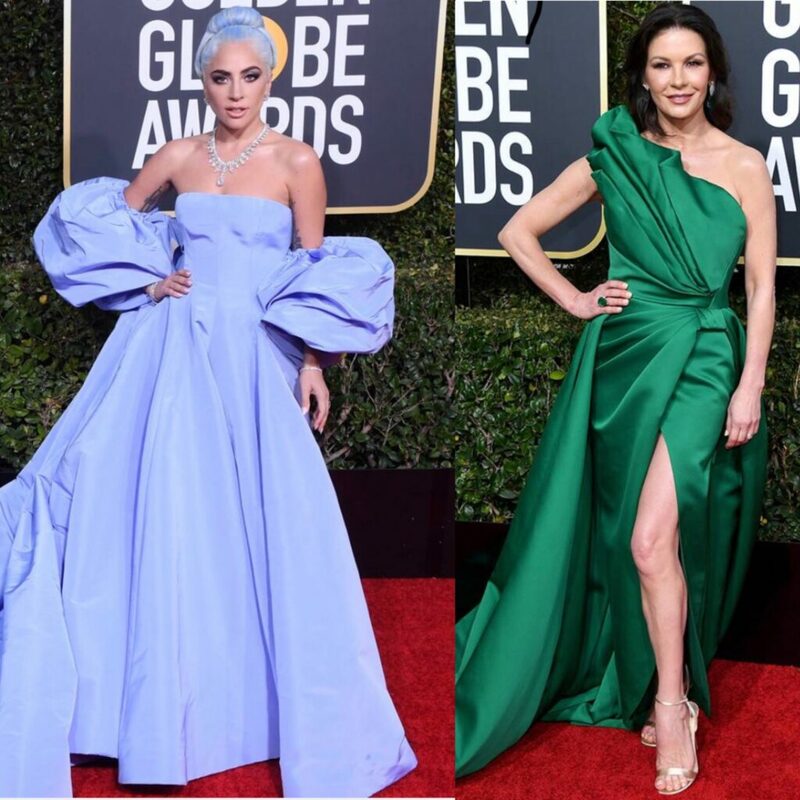 Big bright ball gowns on Lady Gaga in Valentino and Catherine Zeta Jones in Elie Saab. .Wine draping on Halle Berry in Zuhair Murad Couture and Alyssa Milano in Cristina Ottaviano. Galia Lahav and Julia Roberts in Stella McCartney which was my fave look all night! « Celine #16 Is The Best Bag!